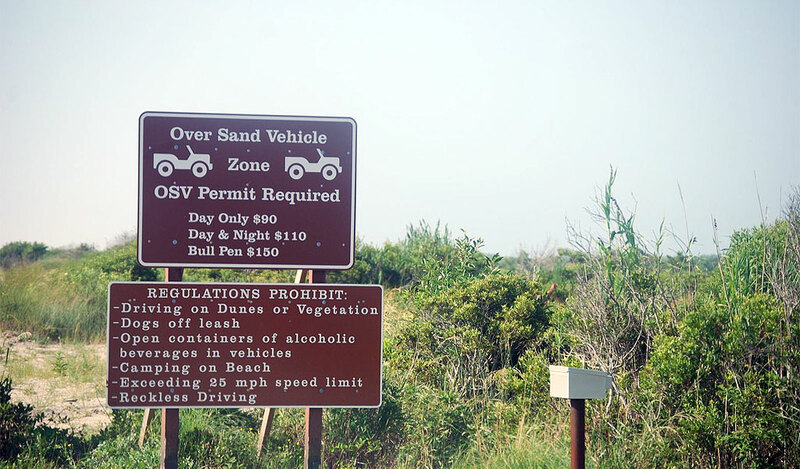 Bill's OBX Beach Life: The OBX ORV Debate, Do We Need Permit Access? As highlighted in the previous post, the debate is back for 2010 OBX Off Road Vehicle (ORV) access. As compared to outright restriction, it seems that a reasonable compromise is the use of Permitting. George at L2S sent this photo of the Assateague, MD ORV access sign. Seems like this would be a smart solution here on the OBX, especially for those areas where ORV is outright restricted during prime seasons. Seems rather than outright restriction, by allowing limited/controlled access, both the pro and anti-ORV advocates may find common ground. The NPS could also generate some additional revenue! As compared to today's "politics of no compromise" perhaps at least this issue could find a "common sense, common ground" solution to benefit everyone. just in case there is any confusion, the prices on that sign are for annual passes. Why should tens of thousands of citizens who love Hatteras be forced to find "common ground" with a bird club and a judge? Our legislators need to pull us out of this travesty of law. Atlantic Bathwater at the Frisco Bath House! Nights in Rodanthe House Moved!